We found 1 episode of Monkey Tail Podcast with the tag “banjo-kazooie”. 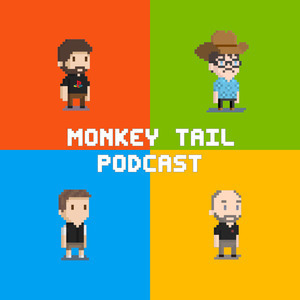 Join Bruno, Benn, Jo and Marius on another edition of the Monkey Tail Podcast. On this episode we give our E3 2018 predictions, talk about the games we've playing the past couple of weeks, which are Detroit: Become Human, God of War, Stay Safe and much more. We also talk about the year in gaming that was 1998.